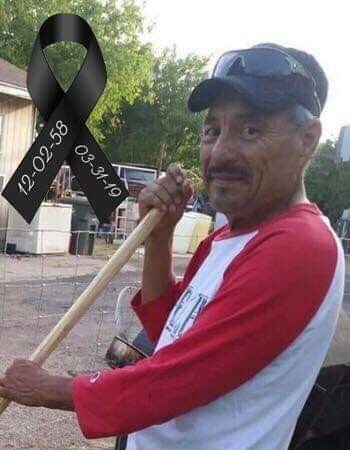 Francisco "Peque" Franco, 60, passed away on Sunday, March 31, 2019 in Laredo, Texas. Left to cherish his memory is his wife Eva Idalia Franco; children, Idalia Lara, Esthefany Venegas (Victor Lopez), Jazmine Franco, Francisco Franco Jr.; father, Baldomero Franco; grandchildren, Madeline Juarez and Victor Hugo Lopez Jr.; siblings, Maria Luisa Franco and Roberto (Thelma) Franco. Mr. Franco is also survived by nieces, nephews, other relatives and friends. A rosary will be recited on Wednesday, April 3, 2019 at 7:00 p.m. at Gamez & Sons Funeral and Cremation Services. Visitation will be held from 5:00 p.m. to 9:00 p.m. Cremation will be held at later date.